Lip enhancement and lip augmentation treatments are becoming increasingly popular with women all over the world. The procedure involves strategically injecting a dermal filler into parts of the lip and surrounding lip areas to enhance, shape and add volume to the lips. All lips are different and lip enhancement injections can be tailored precisely to your lips and your desired outcome. To find out if Perth lip fillers can help you, the first step is to book a free consultation with our cosmetic nurse. 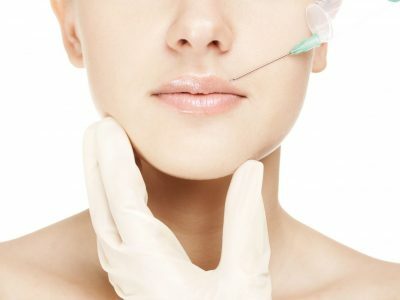 What results can I expect from Perth lip fillers? Perth lip enhancement involves the injection of a small amount of dermal filler to add fullness, definition and hydration to your lips. The treatment can produce remarkable improvements in facial appearance without the downtime, scars or costs associated with surgical procedures. A lip filler treatment takes around 30 minutes to an hour. The cosmetic effect is evident immediately, however the final result is seen after 2 weeks when any swelling or bruising has completely resolved. Results are temporary and can last from 6-12 months. Dermal lip fillers are effective for both men and women. They are not recommended for pregnant or nursing mothers. To find out if lip fillers can help you, book a free consultation with our cosmetic nurse. How do Perth lip fillers work? Dermal lip fillers work by adding volume and hydration to the lips. The product binds with water which gives fullness to the injected area and assists with skin hydration. How often do I need Perth lip fillers? The effects of lip filler treatment can last from 6-12 months. Patients generally return for further treatment when the filler starts to reduce in the lips. This varies between patients. What do lip filler injections feel like? A local anaesthetic is given prior to a lip dermal filler treatment to ensure it is comfortable. This form of anaesthetic usually wears off after half an hour or so. Swelling is a side effect of lip fillers, mostly subsiding after 1-2 days. Minor swelling can persist for 1-2 weeks. How safe is lip augmentation in Perth? The filler we use at Assure Cosmetic Centre is the product most widely used worldwide for aesthetic enhancement. For optimum and safe results, it is important that lip fillers are administered by a fully-trained cosmetic professional. 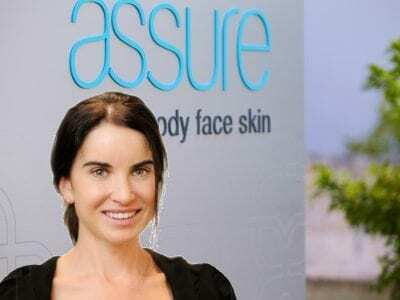 At Assure, all injectable treatments are conducted by our highly-experienced cosmetic nurses under the supervision of our team of Specialist Plastic Surgeons. How much do lip fillers in Perth cost? Your initial consultation with our cosmetic nurse is completely free of charge and without obligation. If you decide to go ahead, lip filler costs start from $600, depending on the type used and the extent of treatment involved. Contact us for further details or to book your free consultation.